Harvard style (also called “parenthetical referencing”) is one of the commonly used academic styles for references, besides APA style, MLA style and Chicago style. It is founded upon the author-date system, thereby allowing for easier communication of important information. By writing an essay in Harvard style, you will be able to reflect on some details, which make this style genuine and to discriminate between it and the other available styles of referencing. The advantage of the system is that the reader can easily identify the year of publication of a given title. The disadvantage is that in-text references take more space than the other styles do. Remember: You should also keep in mind that publishing houses and universities have their own modifications of Harvard style according to their needs and capabilities. Harvard style of referencing is widely used, particularly in the field of humanities, social sciences, history, archeology, and biology. Hence, before getting ready to write a paper in the field of psychology, for instance, you have to ask your instructor which style to use (Chicago, APA, or Harvard style, or some modification of them). You should use either italics or underline the titles, but it is recommended to use the former method. The text should be double-spaced, with the exception of the block quotations. There are not so many requirements concerning formatting the paper, since Harvard style stipulates only the order and the content of reference information. As regards of long quotations, you have to begin a quote on a new line and to indent it 5 spaces. It is always better to cite in short because you do not have enough space for long quotations. You should omit the quotation marks. Use single spacing for the indented quote. The only rule about formatting the references is that all of them should have hanging indent. The order in which the available information is put is the following: first name/last name, initials, publication year, title, place, and publisher. Remember that only the first word of the title is capitalized. References in Harvard style should have hanging indent. The order in which the info is put: first/last name, initials, publication year, title, place, & publisher. Only the 1st word of the title is capitalized. Balibar, E (2002), Politics and the other scene. London: Verso. Bacharach, S., and Lawler, E. (1980) Power and politics in organizations. San Francisco: Jossey-Bass. Chamberlain, M. (1998) Brothers and sisters, uncles and aunts: A lateral perspective on Caribbean families. In Silva, E. and Smart, C. (eds.) The new family? London: Sage. Argyle, M. and Henderson, M. (1984). The rules of friendship. Journal of social and personal relationships. 1. p. 209-235.
it is necessary to ask your instructor about the requirements concerning the formatting and the academic style of references. After writing your draft, check for consistency of the references and always pay close attention to your list of references, particularly to years of publication. In-text citations should be carefully examined for the pages you are referring to. This is the only way to prepare a good academic essay, although now you know a little bit more about how to write an essay in Harvard style. 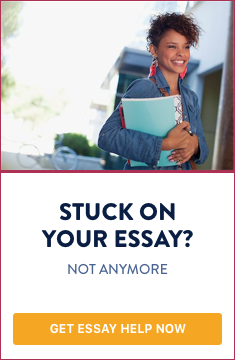 Do you need help with writing an essay in Harvard format?